If all goes according to plan, Austin startup Shelfbucks will be making retailers and shoppers happy nationwide in just a matter of months. According to CEO Erik McMillan, Shelfbucks is negotiating with some of the top retailers in the country to roll out its Bluetooth Low-Energy beacons—digital devices that go directly onto store shelves and give shoppers exclusive coupons through their smartphones. The devices, he believes, could revolutionize retail. By moving a smartphone close to one of these beacons, customers receive offers on products they are standing in front of. The coupons are from both retailers and product brands, and when selected, are saved to phones through the retailer’s mobile app. 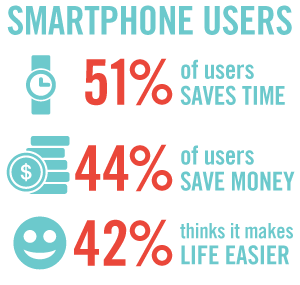 According to Shelfbucks’ website, 65 percent of the US shopping population has a smartphone. Shelfbucks’ hardware also includes a backend platform so retailers can manage their offers and view customer analytics. “The retailers can see how many shoppers are interested in deals, what deals shoppers looked at, what they clicked on and what they bought,” McMillan said. If the deals go through, it would mark a very quick ascent for a company in one of the fastest growing areas of innovation—consumer tech. AngelList, a social network for startups seeking funding, lists 14 new companies in this market in January alone. The reason: retailers are hoping to a leg up on competitors by reaching out to and understanding shoppers, particularly in stores. According to McMillan, only 5 to 10 percent of major retailers’ business is done online. The Bluetooth Low-Energy beacons are supposed to be the key to reaching out to shoppers actually browsing the aisles of retailers’ stores. “For the first time, there’s a digital platform for the shelf for offer delivery,” he said. 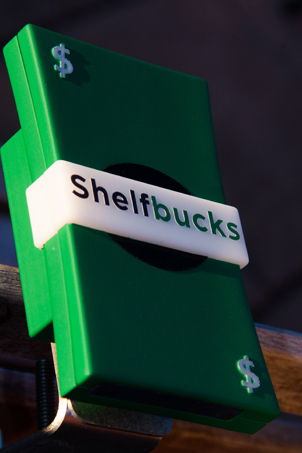 For customers, Shelfbucks’ appeal is convenience. Rather than push notifications or GPS-triggered offers, like many coupon companies provide, Shelfbucks gives deals when shoppers might actually want them: while shopping. Shelfbucks grew out of McMillan’s previous endeavor, BestFit Mobile, an app development company. As he was building mobile apps for retailers, he toyed around with the idea of putting bluetooth chips inside stores. They ate it up. Shelfbucks secured $1.5 million in fundraising in June 2013, and launched their first product four months later. The company won one of five DEMOGod awards in October as well, at the DEMO conference, and made news with its hire of Catherine Lindner, former Walgreens vice president of retail marketing, as Chief Merchant Officer. McMillan says that the company is now onto its next round of fundraising, and aside from working out deals with national retailers, is hiring its next round of engineers and team members. Though he declined to name which retailers Shelfbucks is negotiating with, McMillan said they are all top companies nationwide. “If you just look at the list of top 10 retailers, whether it’s mass retailers, grocery retailers, consumer electronics retailers. We’re going after all categories,” he said. In the meantime, Shelfbucks’ beacons are in lab pilot programs with some of those very companies. McMillan said that the beacons will be in Austin stores in February, and expects nation-wide tests by the third quarter of the year. Alex Dropkin is an Austin-based journalist and University of Texas master's student whose interests lie in science writing, long form journalism, and narrative nonfiction.